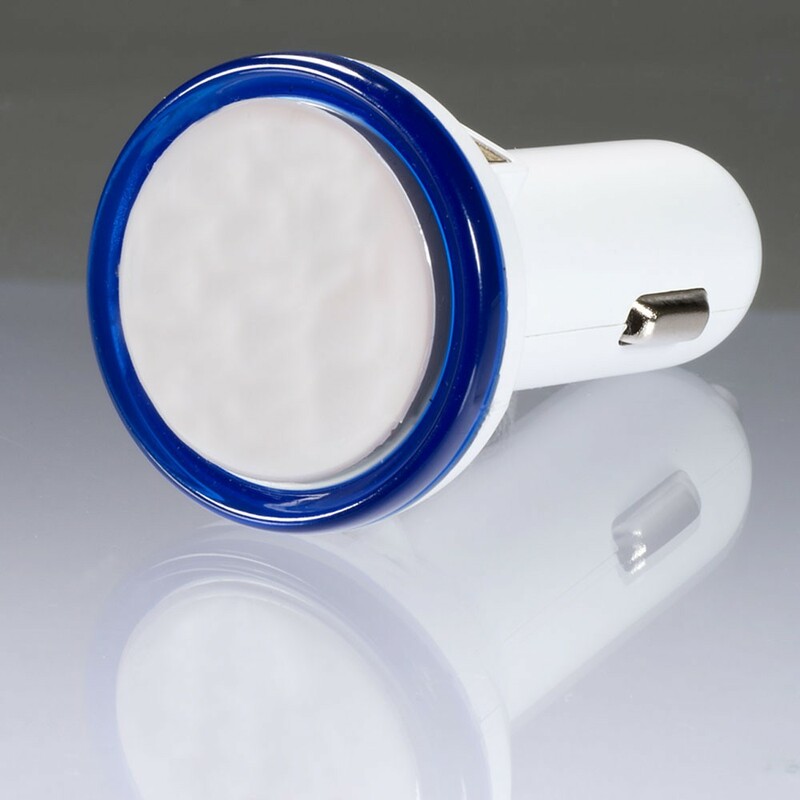 This stylish universal dual ports usb car charger adapter can charge/power two USB devices in your car at same time. Use your car to charge any devices (digital cameras, PDAs, mobile phones, USB accessories and more). This adapter plugs into your car's cigarette lighter jack to become a powered USB port. It would look great branded with your logo, and given as a gift to clients and staff.